Towards an Ethical Architecture cites an urgent need to re-examine the role of ethics, activism and critical commentary in architectural practice. Gregory Henriquez asserts that architects must ask critical questions such as: “Who am I serving?”; “Who do I represent?”; and, “What type of work ought I do?”. These are not questions of ability or desire but of ethics. The book contributes to this ongoing discussion through the lens of early first works of Gregory Henriquez leading up to the Woodward’s Redevelopment. 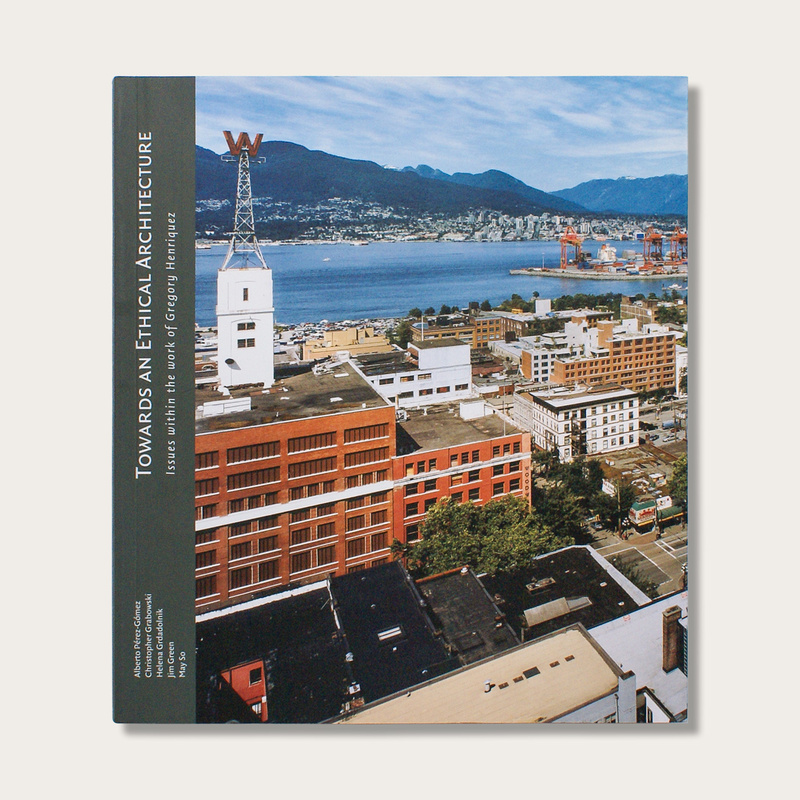 Startling essays by Alberto Pérez-Gómez, May So, Helena Grdadolnik and Gregory Henriquez, as well as an interview with the late community activist and former Vancouver City Councillor Jim Green, further explore the notion of reinstating architecture as a social force as well as an aesthetic one. Ultimately, the book seeks to remind architects that they should play a leadership role in creating the collective spaces that form the fabric of our communities and daily lives.